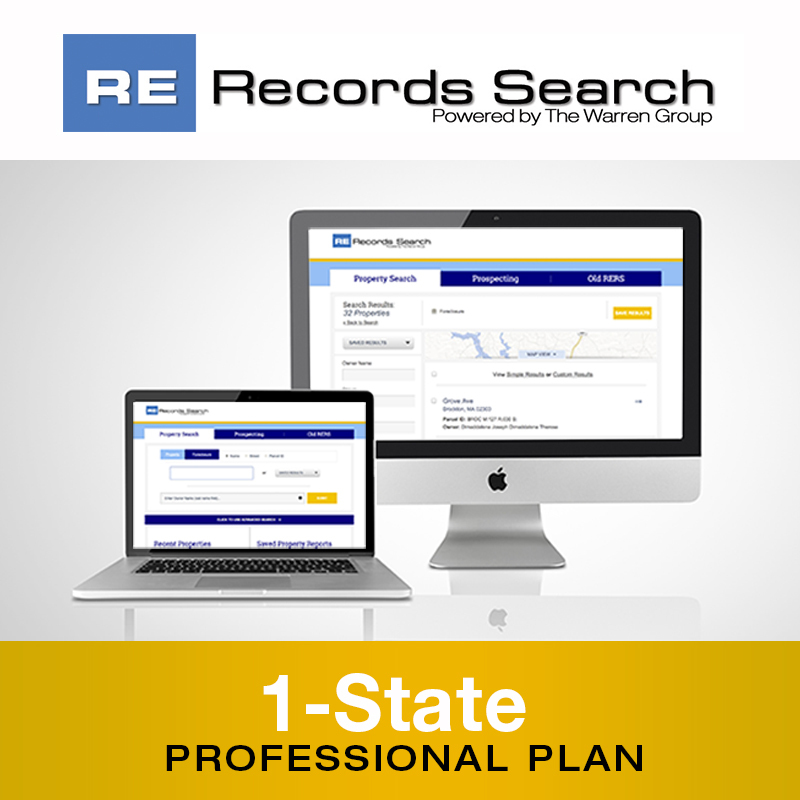 Your RE Records Search Professional 1-State Subscription provides you with access to the most thorough property information available in New England. You’ll find property characteristics and ownership, sales, mortgages and distressed histories, comprehensive map features, town demographics and more. The 1-State option allows you to choose one of seven available states. You’ll have unlimited searches, the ability to download up to 300 labels/records per month and no overage charges, ever. To guarantee uninterrupted service, all subscriptions are automatically renewed 14 days before the anniversary of the term selected below. Customize a RE Records Search Enterprise package to meet your business needs. Five or more users with a single billing contact and special rates are available. Find out more by reaching out to us at 617.896.5388 or email customerservice@thewarrengroup.com. Subscriptions are for a 1-year subscription term of your choice, paid either monthly or at a discounted rate annually. To guarantee uninterrupted service, we will automatically renew your subscription and charge your account 14 days prior to the expiration of your term using the payment method you provided. If you are not satisfied, you may cancel your subscription at any time; however, no refunds will be given. Thank you for subscribing.